The 10th Annual Boca Raton Concours d’Elegance presented by Mercedes-Benz and AutoNation, benefiting the Boys & Girls Club of Broward County, will be held from Friday, February 19 to Sunday, February 21, 2016. J.R. Dunn Jewelers has been the Official Jewelry Sponsor with an onsite presence at the event since its inception in 2007. On Friday evening, the festivities kick-off with the DuPont Registry Live Hangar Party, presented by Ulysse Nardin, at Atlantic Aviation at the Boca Raton Airport. There will be select gourmet tastings from more than 20 restaurants and a display of exotic cars, custom motorcycles, boats, private jets, vintage aircraft and luxury motorcoaches. The Seminole Casino Coconut Creek is providing entertainment. Saturday evening’s prestigious Gala at The Boca Raton Resort & Club will include a welcome reception, silent auction, dinner, live auction and entertainment by comedian and TV star Jay Leno. Additionally, Rita and Rick Case, of Rick Case Automotive Group, and Stephen Cannon, president and CEO of Mercedes-Benz USA, will be presented with the Annual Automotive Lifetime Achievement Awards. J.R. Dunn Jewelers is donating both a $10,000 shopping spree at its 8,000-square-foot showroom as the champagne raffle prize, as well as a pavé diamond ring from the Stephen Webster Magnipheasant collection for the live auction. The highest bidder will be able to wrap their finger in a piece of jewelry that resembles a pair of dazzling angel’s wings. 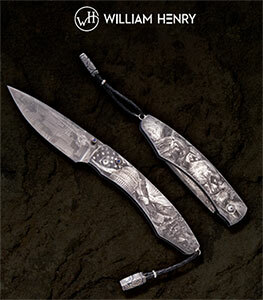 J.R. Dunn Jewelers will also be displaying unique items from the collections of the world’s top designers at the resort Saturday and Sunday, including cutting-edge designs from Britain’s Stephen Webster and accessories for men in the artistic and exclusive knives from American designer William Henry. A portion of the weekend’s sales will be donated to the Boys & Girls Club of Broward County. The main event on Sunday at the resort, presented by Impala, will feature an expert panel of judges and some of the finest automobiles and motorcycles ever built! Wayne Carini will serve as grand marshal, Jay Quail as chief honorary judge and Dr. Paul Sable has been named chief judge. Attendees can see a celebration of Packards and classic vintage automobiles from the Classic Car Club of American (CCCA). Gourmet food, wine and cocktails will be available from 30 South Florida restaurants in the Concours d’Gourmet Pavilion. Visit www.BocaRatonConcours.com to learn more about the event.